Pricing – purchased on location. City & Suburbs overall Size: A whopping 9,990 Km sq. 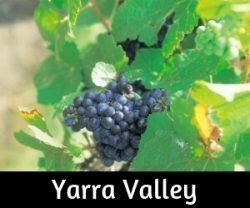 Why is Melbourne called Melbourne? The state of Victoria is named after Queen Victoria, it was she who decided that our fair city would be named Melbourne, as an honour to the 2nd Viscount Melbourne, British Prime Minister in the 1830’s. Victoria’s capital city has a reputation for great coffee, fashion, culture, street art… and the list goes on. There is a friendly rivalry between us and Sydney folk which is not required. Both cities are fabulous and have their own charms and quirks. 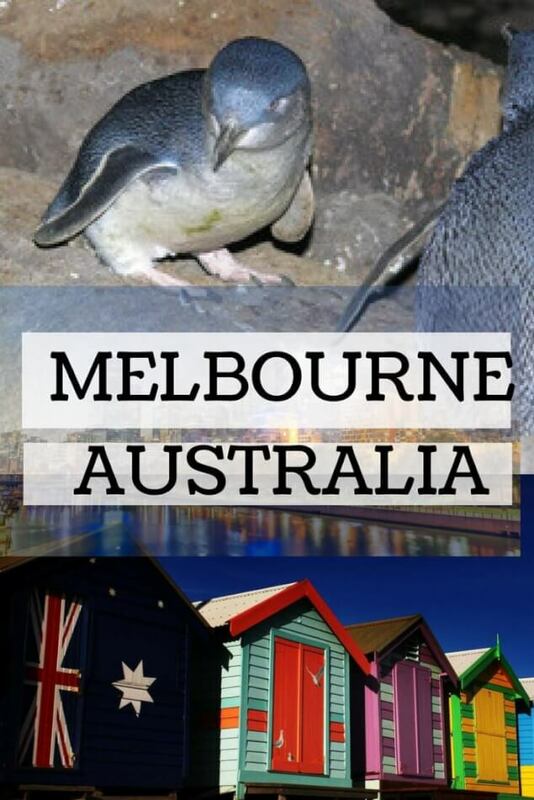 We have listed what we believe to be the best places to experience when visiting Melbourne. Some of our recommendations are free and some have a cost involved. Visiting with kids? We have plenty of activities to keep families entertained too. September – November 9.6 - 19.6°C 49.3 - 67.3°F Temperamental weather changes to be expected. March – May 10.9 – 20.3°C 51.6 - 68.5°F Can be just awesome, foggy days that then clear to blue skies. June – August 6.5 - 14.2°C 43.7 - 57.6°F Cold. Though we can have stunning frosty days. Pack an umbrella. Start your city discovery with a free walking tour, guided by a local. Starting by the Sir Redmond Barry statue outside the State Library of Victoria (Swanston Street). The tours go daily at 10.30am and 2.30pm, no bookings required. Simply look for the guide wearing a distinctive green shirt. The tours last for 2.5 to 3 hours. 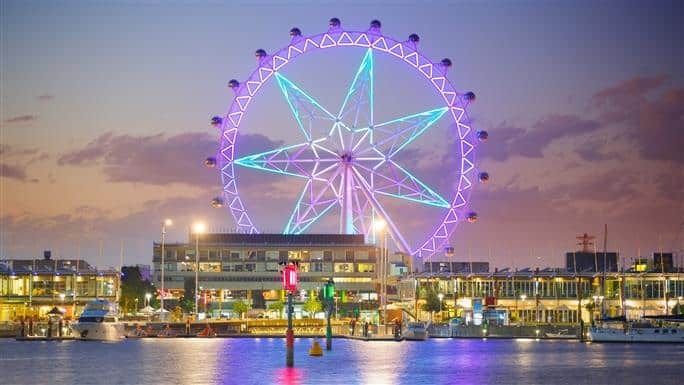 After some hiccups and an estimated cost of $100 million to build, the Melbourne Star is now gracing our city skyline with stunning vistas across Port Phillip Bay, to Mount Macedon and as far as the Dandenong Ranges. Day or night, it is rather special to ride the 30-minute loop, reaching a total height of 120 metres. There is a special discount package offering a trip on the wheel during the day and then at night to experience the city lights too. Book online to save money on tickets. $425.00 That's a great deal! Check prices and book tickets here. (Booking online ahead of time will save money). A touch over 297 metres high, the Skydeck is one of the best places to see the Melbourne city skyline and look down on the streets from all angles. An added option is to pay extra and experience ‘The Edge’. ” There’s no experience like it in any other building in the world and the perfect indoor activity for both kids and adults alike! We recommend doing The Edge when visiting the Skydeck, the simulated noise of breaking glass during the ‘experience’ is cheesy though, in my humble little opinion! It is fab for kids though. Sun & Stars Upgrade Option for an extra charge, visitors can enter the Skydeck twice on the same day or over two consecutive days. See the views during the day and at night. Dining Located on the top floor of Eureka Tower, Eureka 89 dining offers an incredible dining experience with stunning views through floor to ceiling windows. Bookings can be made up to 4 weeks in advance. A kiosk/cafe is located on the viewing deck, so take your time and have a snack whilst soaking up the views. 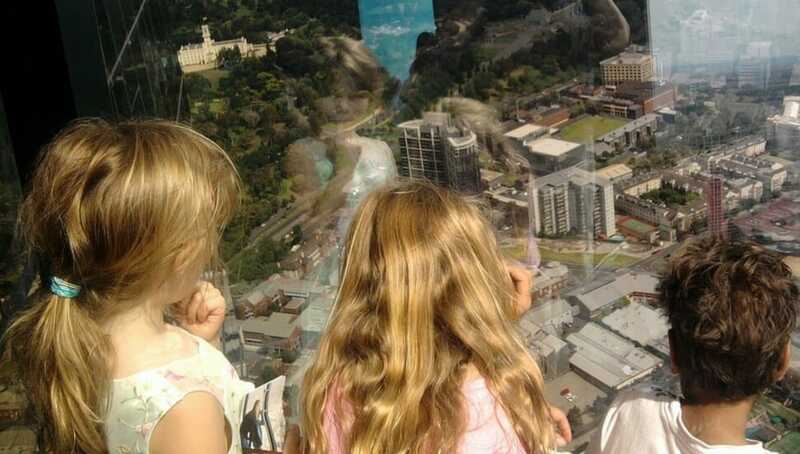 Bookings for the Skydeck can be made on the spot or ahead of time. Built in 1755 by the father of Captain James Cook, Cooks’ Cottage is the oldest building in Australia and a favourite Melbourne attraction. 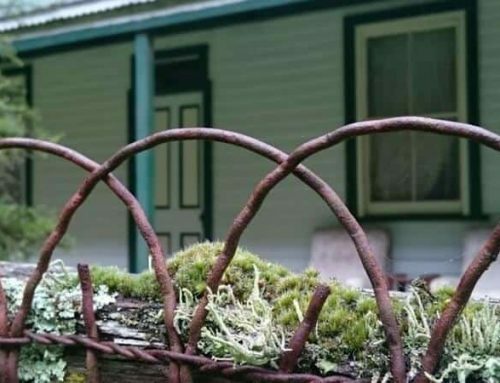 Originally located in Yorkshire, England, the cottage was brought to Melbourne by Sir Russell Grimwade in 1934. Each brick was individually numbered, packed into barrels and then shipped out here. “Combining modern interpretations of Captain Cook’s adventures, centuries-old antiques, a delightful English cottage garden and volunteers dressed in 18th-century costumes, Cooks’ Cottage is a fascinating step back in time”. The Melbourne Cricket Ground, also affectionately called ‘The G’! ” the museum offers something for everybody all year round with school holiday activities, the Game On! interactive gallery, and Australia’s largest collection of sporting memorabilia. Across a multitude of sports, the museum features memorabilia from some of the country’s biggest heroes and highlights moments that have shaped the traditions of Australian sport”. ‘Doing the Block’ is a Melbourne tradition from decades ago. It was the place to be seen and is still one of those fabulous places that are worth adding to the city bucket list. With chocolate and speciality shops, decadent tea rooms and stunning architecture, theBlock deserves the adoration it receives. It is between Elizabeth and Collins Street. Definitely, a place to visit, the Immigration Museum tells the story of very early immigrants to Australia as well as the current dilemma for many people in detention seeking asylum currently. Located at 400 Flinders Street. These are the questions that the Immigration Museum poses. Expect a thought-provoking experience filled with stories that are sometimes sad, sometimes funny, but always compelling. And somewhere within, you’ll find your own story. A visit to Melbourne should include the Queen Victoria Market. 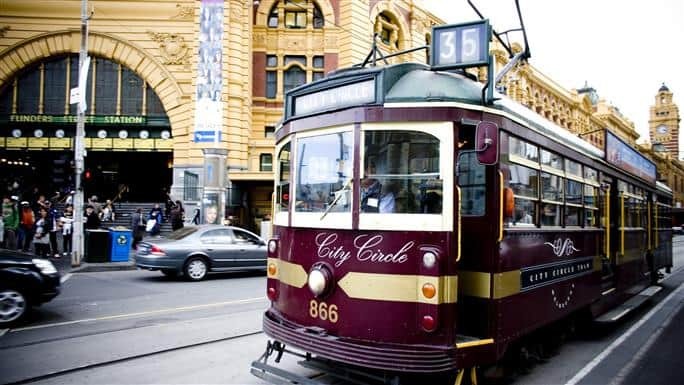 With delicious food, general market stalls and entertainment it is a Melbourne favourite. For over a century people have been buying fresh produce and goods from this iconic landmark. The Shrine of Remembrance was created to meet the needs of a grieving community after the extensive loss of lives in the First World War (1914 –18). 114,000 Victorians enlisted in the First World War. Of the 89,000 of them who served abroad 19,000 were killed. They were buried in distant graves far from home at a time when most Australians did not travel abroad. The Shrine provided a place where Victorians could grieve as individuals, as families or as a community. It also served to honour the courage of the men, women and children who remained at home. One of the best places to enjoy some quiet time and simply slow down. Stroll the gardens, enjoy something to eat at the tearooms… and just relax. A bonus for families in the Botanical Gardens is the Ian Potter Foundation Garden and playground. One of the best places to take kids in Melbourne. It’s free to enter, check the website for opening times and activities. The Yarra River trails go for miles. Hire a bike and ride, passing through areas that will make you feel that you’ve entered the countryside and the city could not possibly be so close. 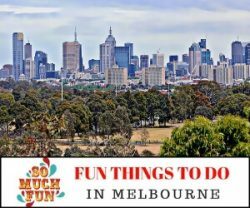 Boathouse tearooms, small falls, the Collingwood Children’s Farm and Convent… spend a day. Walking is a good way to enjoy the trails too, pack a picnic maybe and head off. When you need to return…maybe catch a cab. We have a number of great beaches around Port Phillip Bay. From close to the CBD all the way around to the end of the Mornington Penisula. The easiest beaches to access are at St Kilda and around Port Melbourne. Grab the tram to St Kilda and hit the sand! 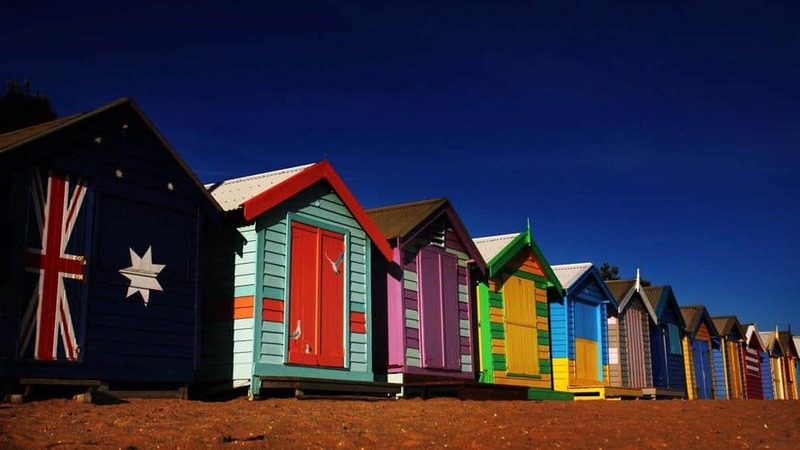 A little further along from St Kilda, Brighton Bech is lovely and has classic Australian Beach boxes, built over 100 years ago. Either catch a train to Brighton and walk to the beach or walk along the path from St Kilda (or cycle). Getting out of the city and exploring the countryside is a ‘must-do’. 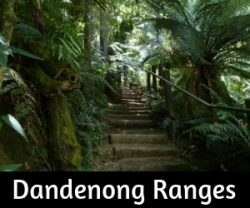 From coastal areas to the mountain ranges, there is a lot on offer and begging to be added to every traveller’s list when in Victoria. 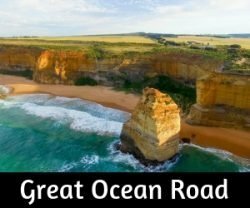 The Ocean Road generally needs no introductions as it’s one of the most visited areas in Victoria. Day trips are possible, but if you only have one day spare, consider doing a tour as it’s a long drive. Give the driver’s seat to a professional and enjoy the ride. 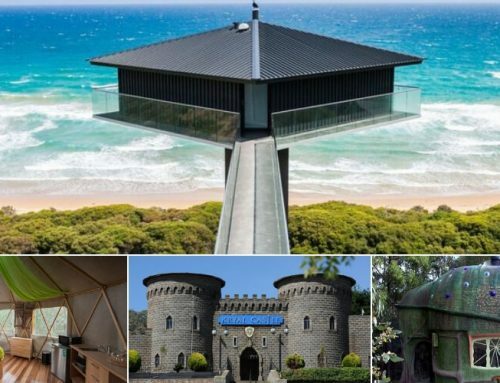 Safe beaches for families or surf beaches – the Mornington Peninsula offers both. 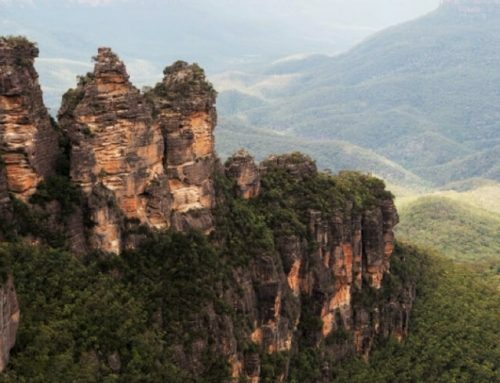 A favourite holiday destination for generations of Victorians, the Peninsula has a lot to offer.